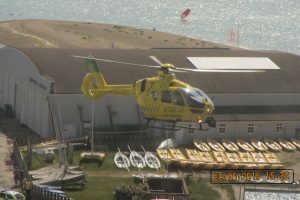 Most of these photos were taken from Calshot Tower NCI with a Canon “snapshot” camera or using my iPhone so the definition is not good. 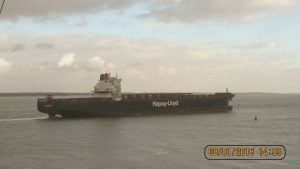 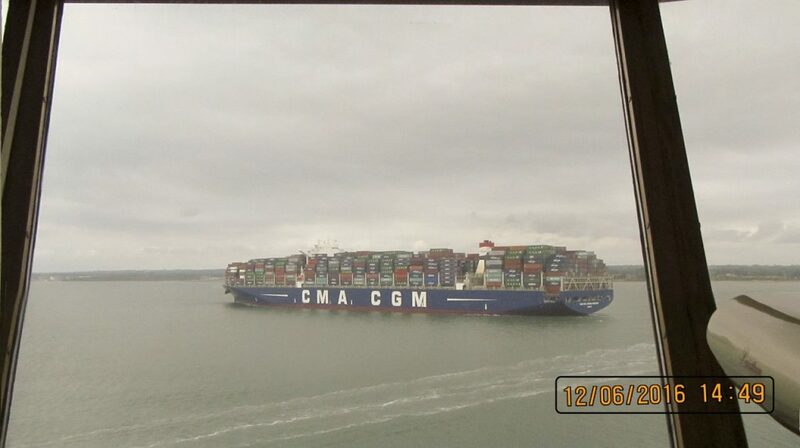 8th January 2016: Two tankers crossing, then a rare sight: a container ship without containers! 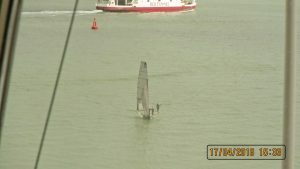 27th February: J/24 (or J/22 ?) 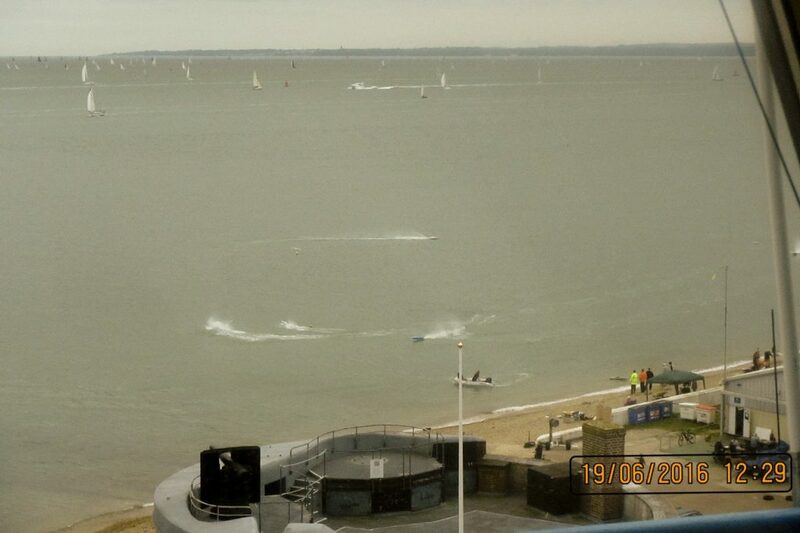 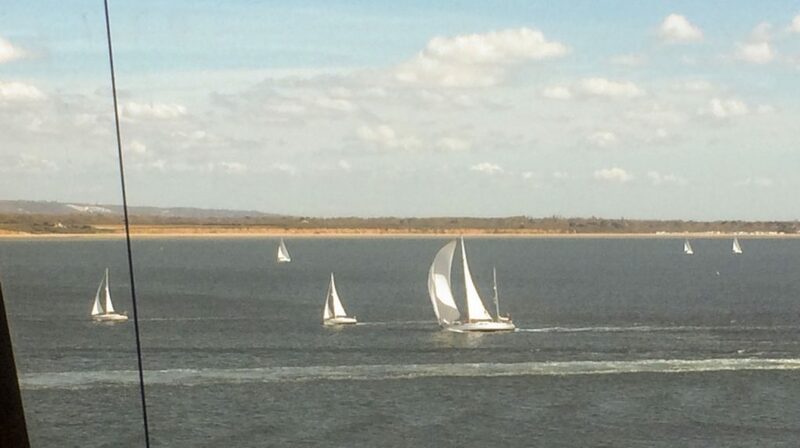 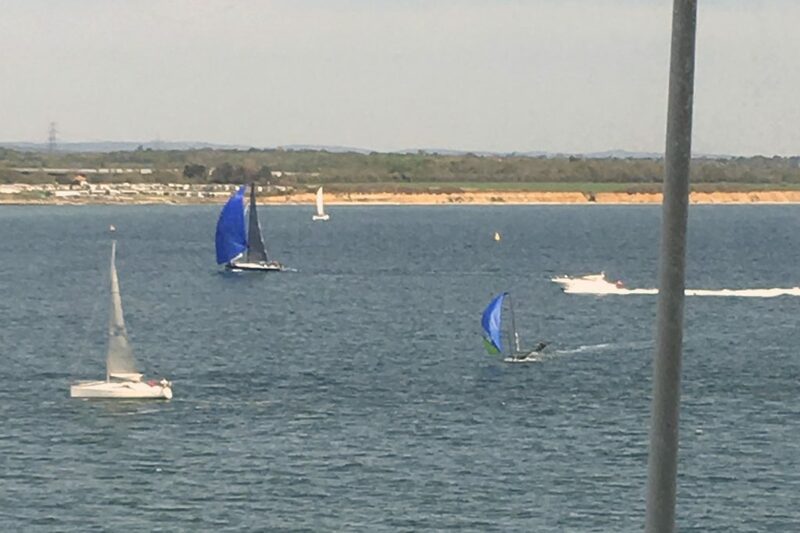 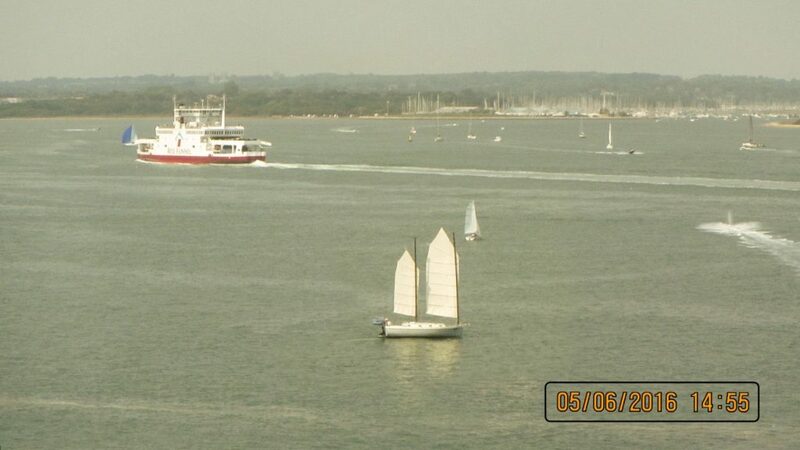 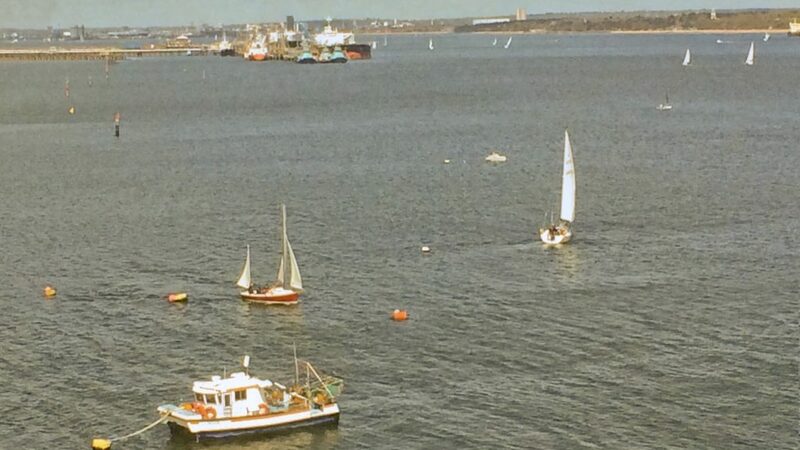 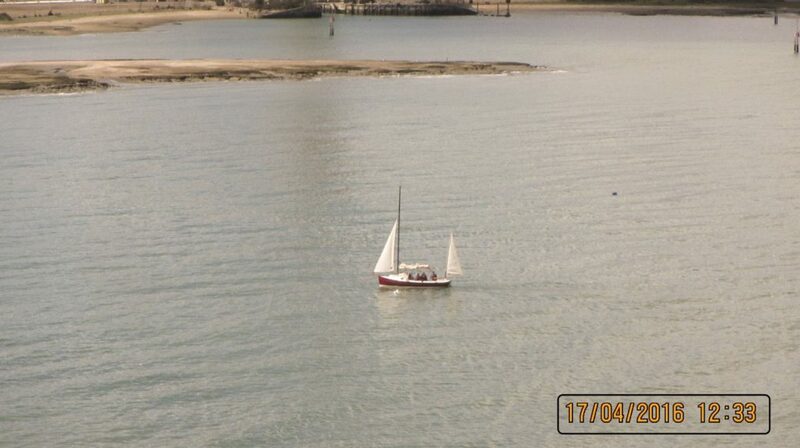 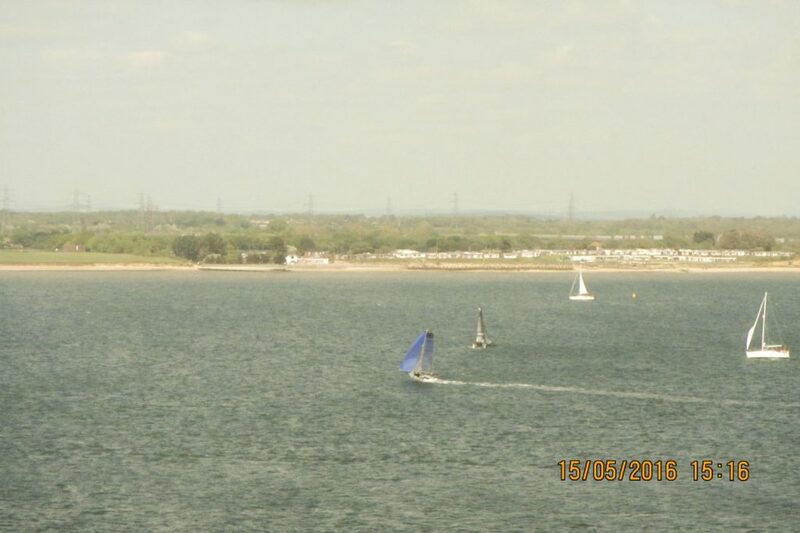 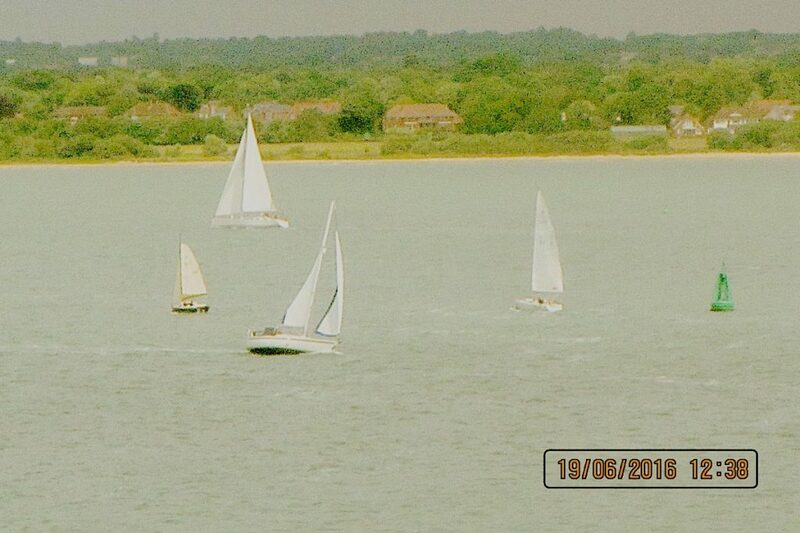 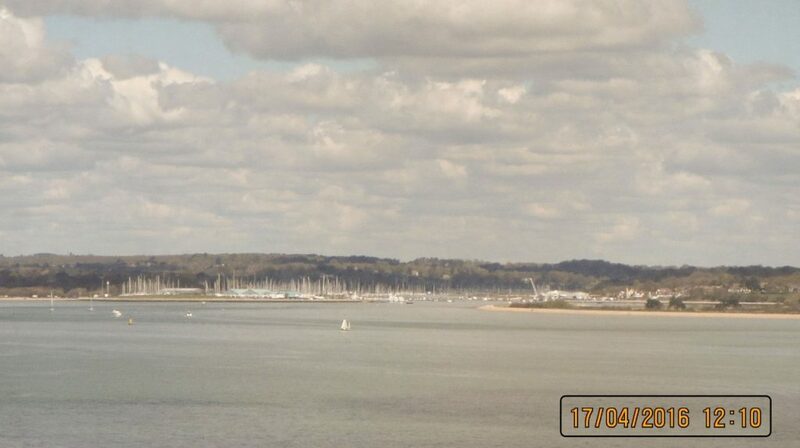 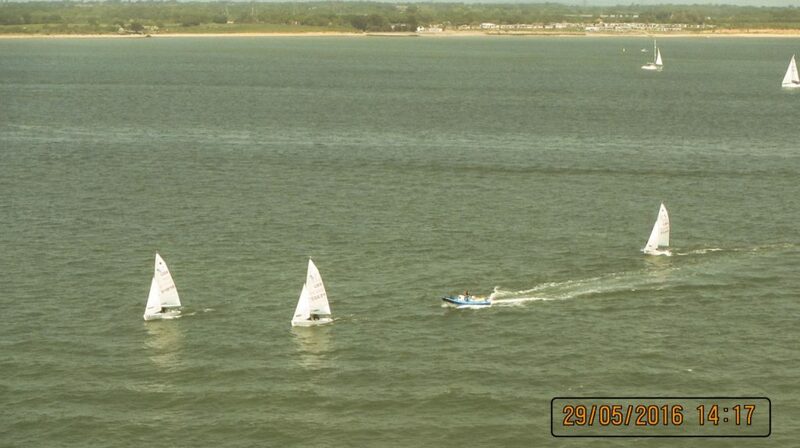 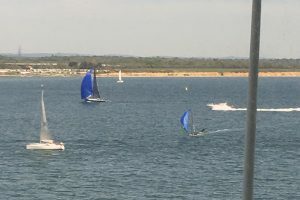 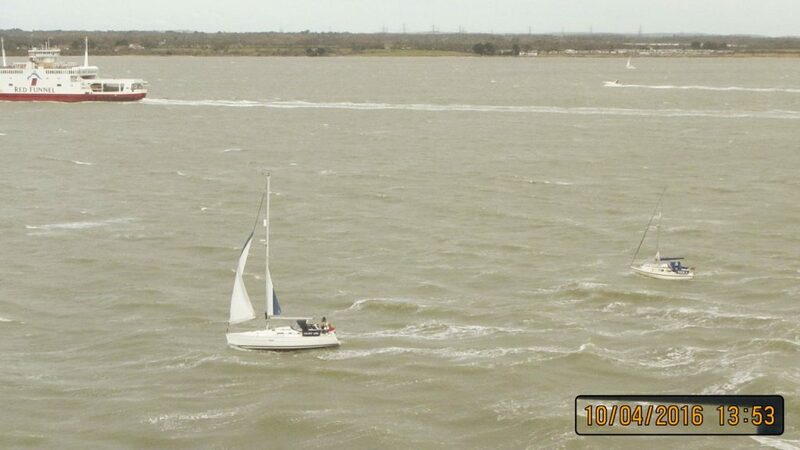 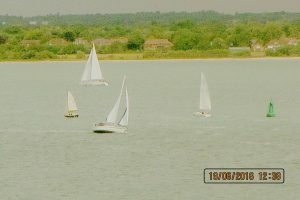 yachts heading back to the Hamble after racing. 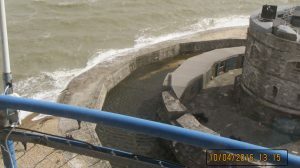 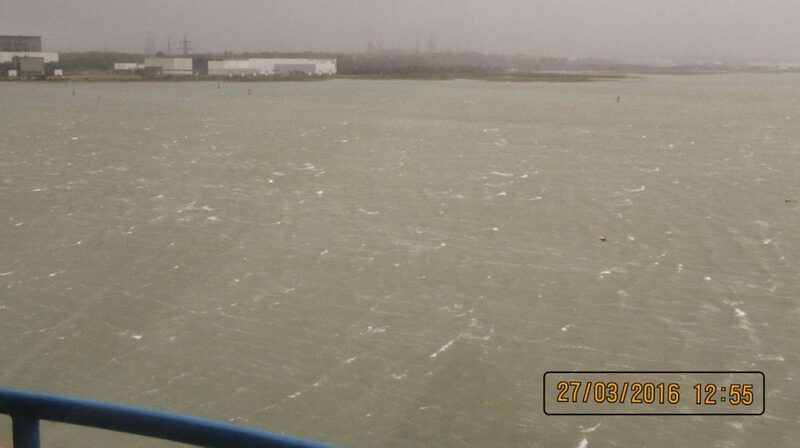 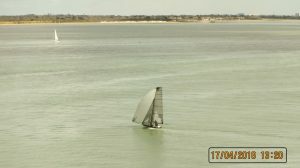 27th/28th March: A windy day. 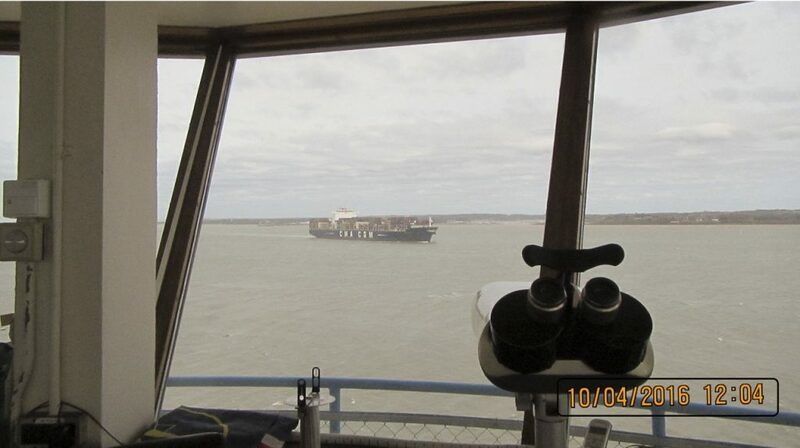 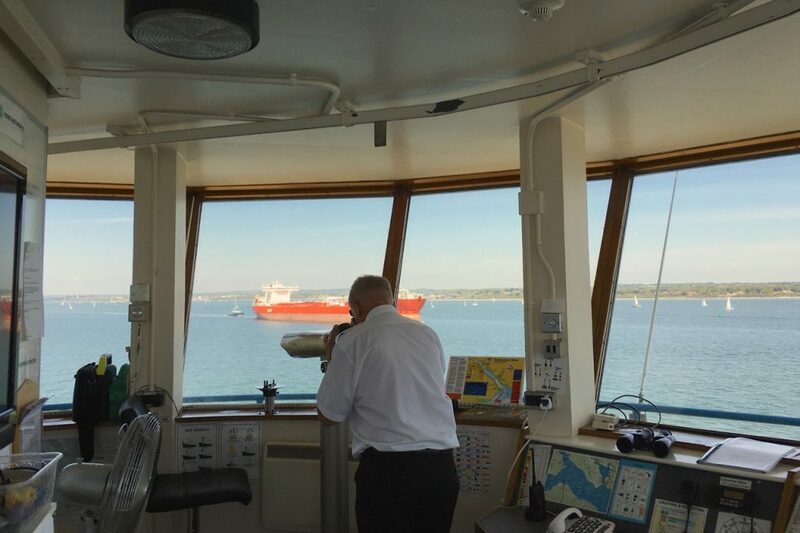 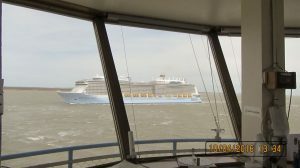 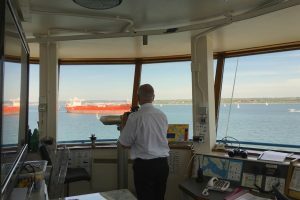 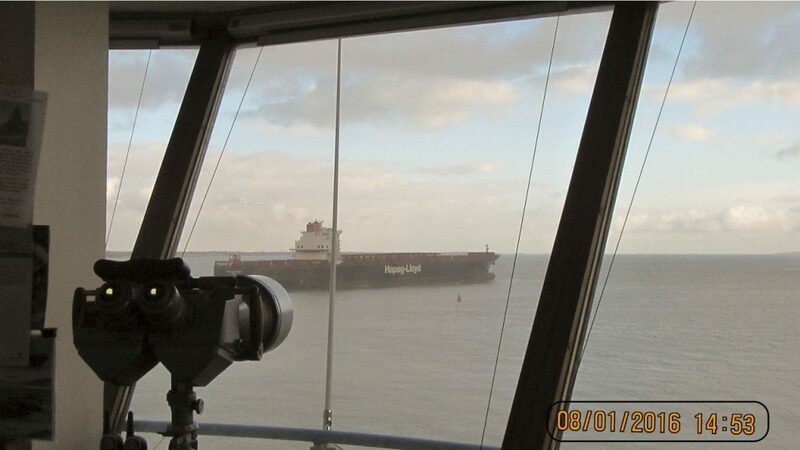 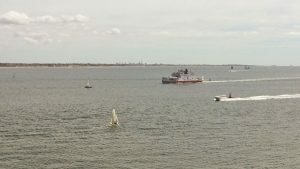 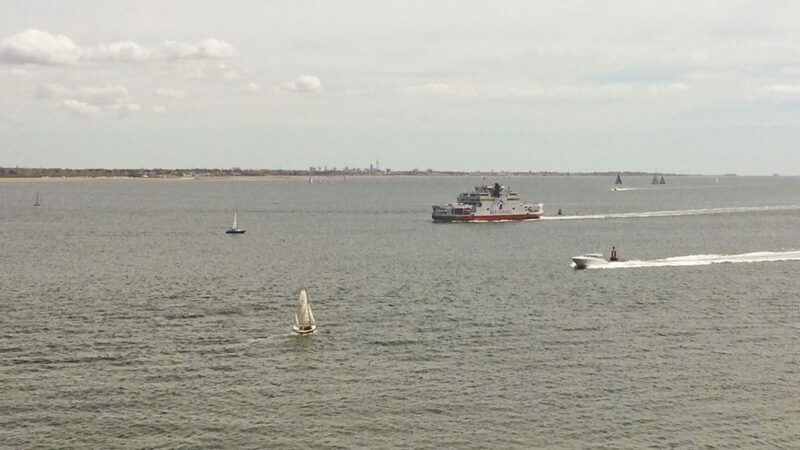 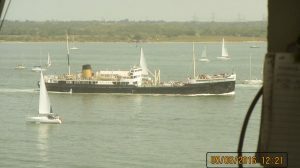 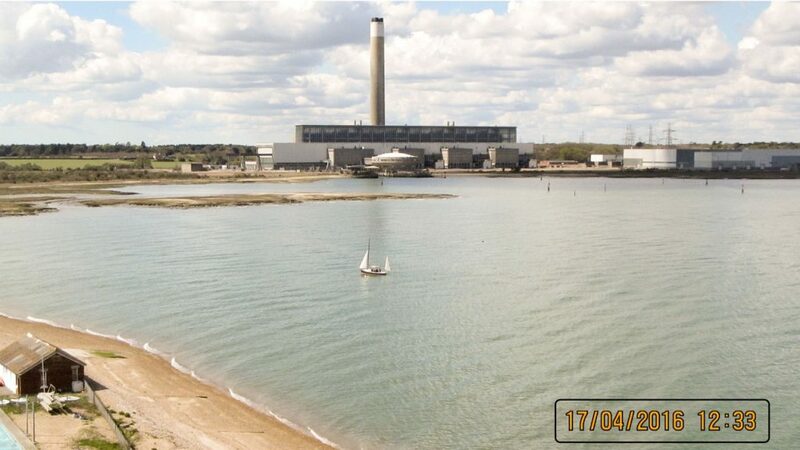 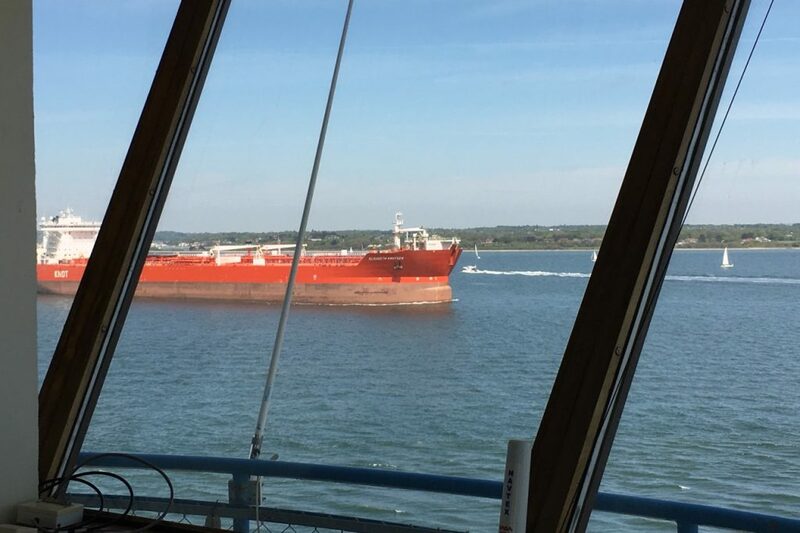 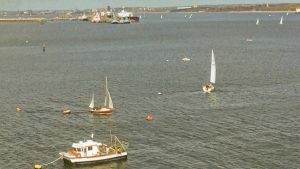 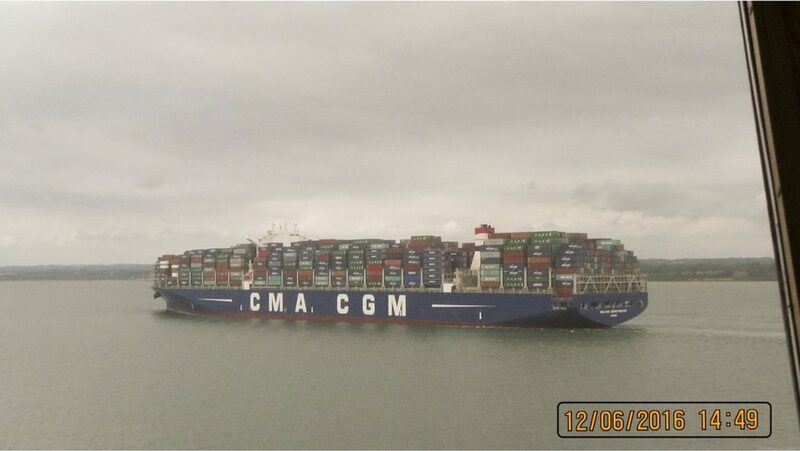 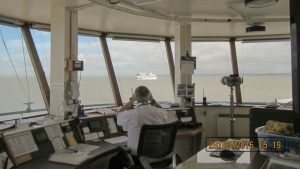 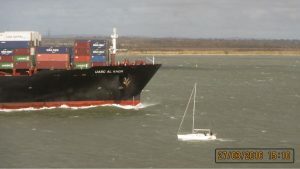 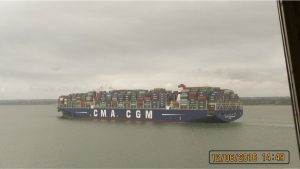 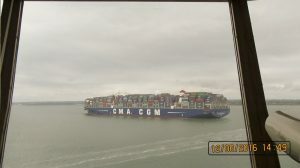 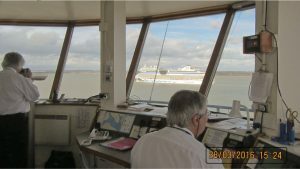 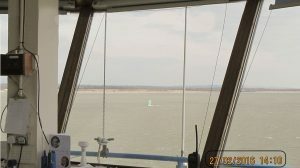 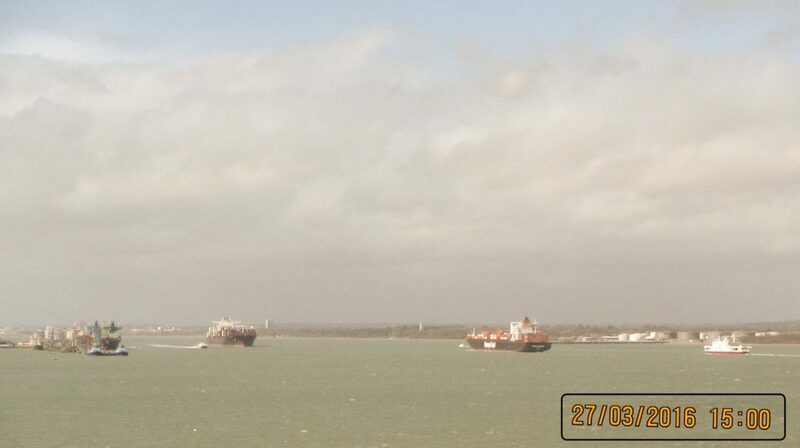 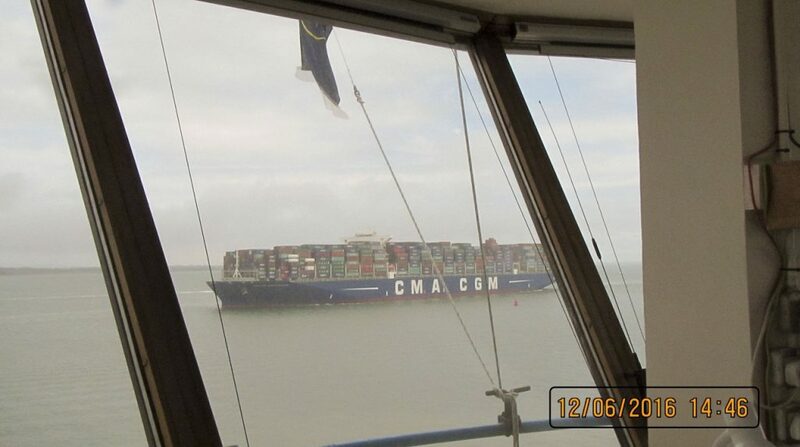 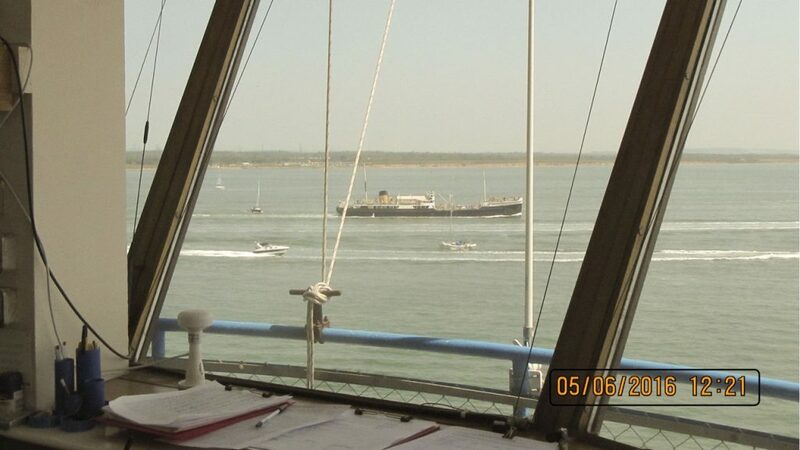 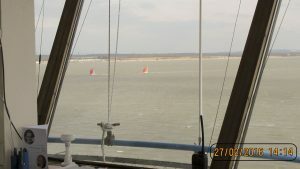 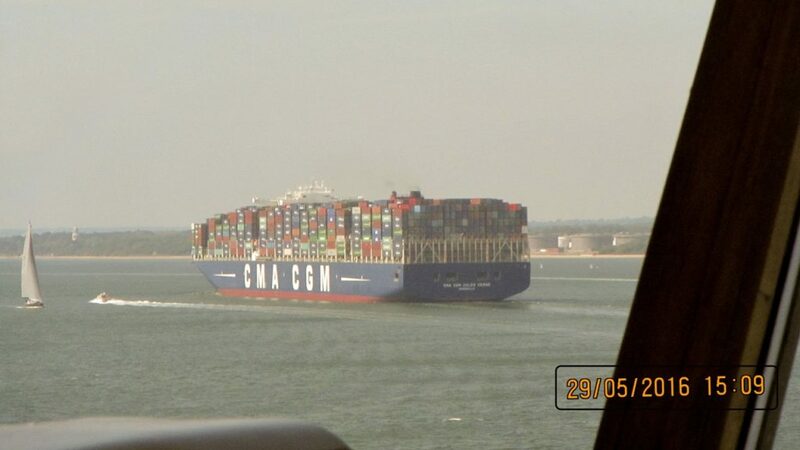 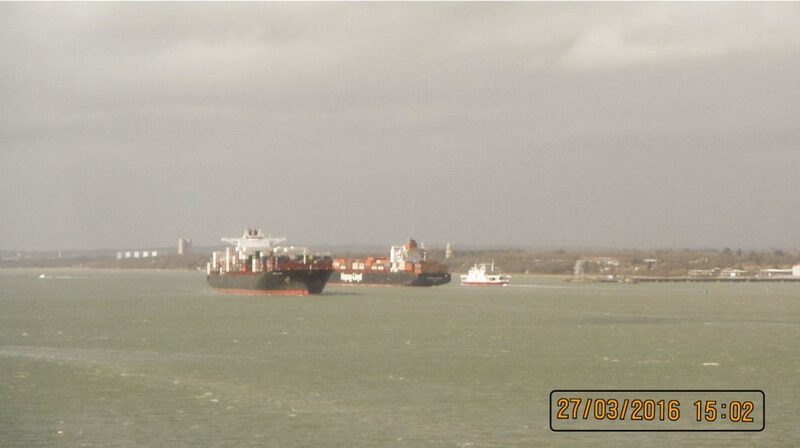 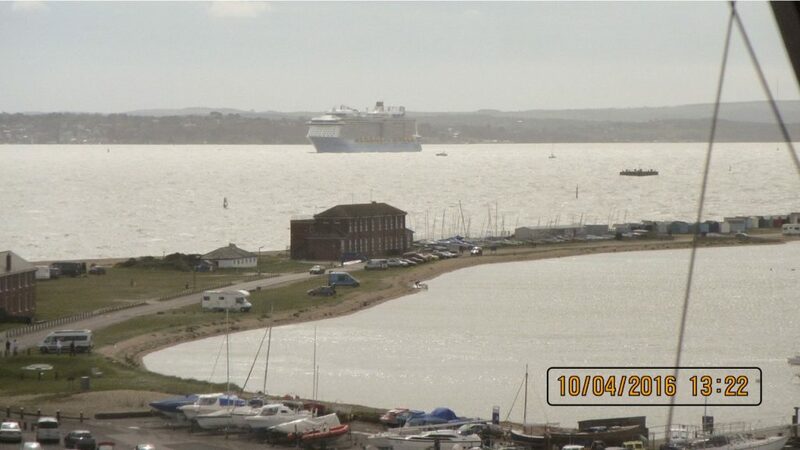 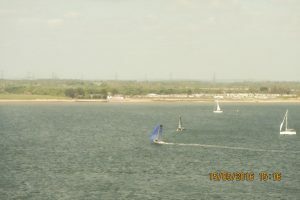 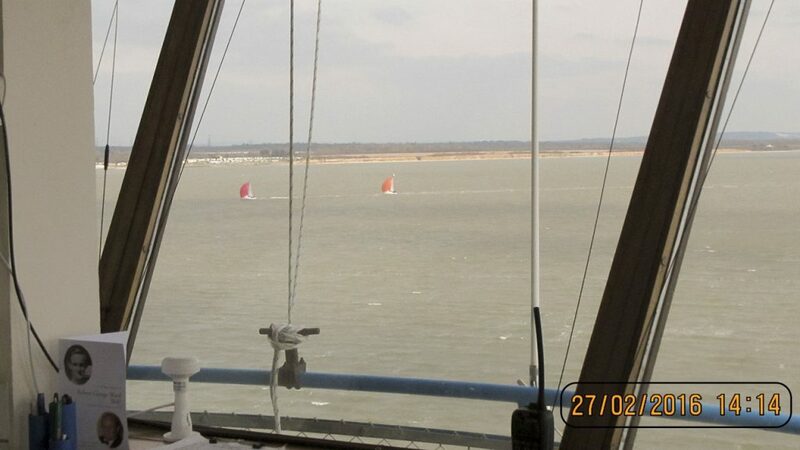 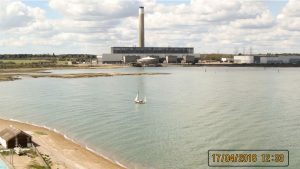 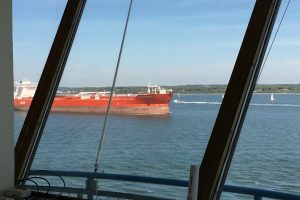 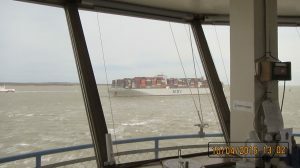 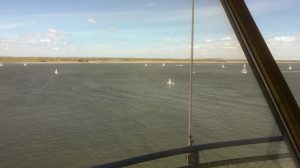 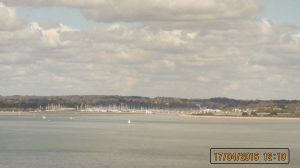 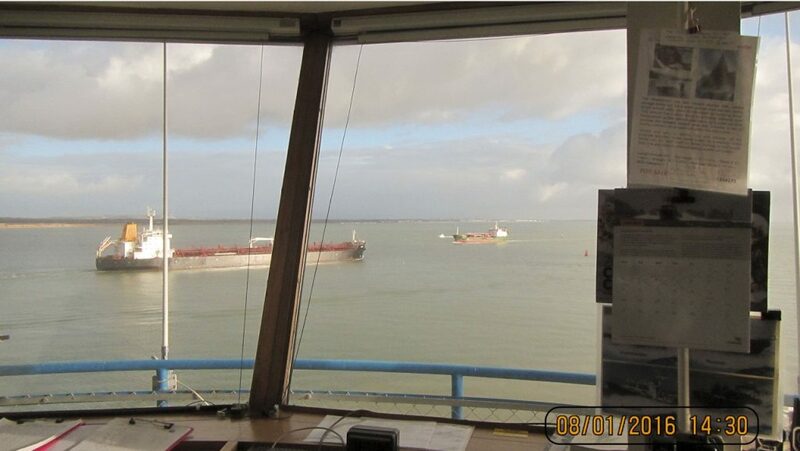 Two container ships passed at the Fawley passing place – where the shipping channel takes up most of Southampton water. 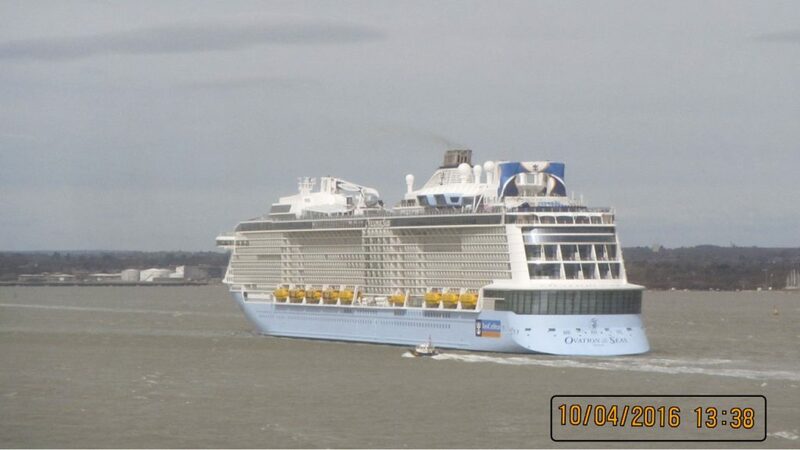 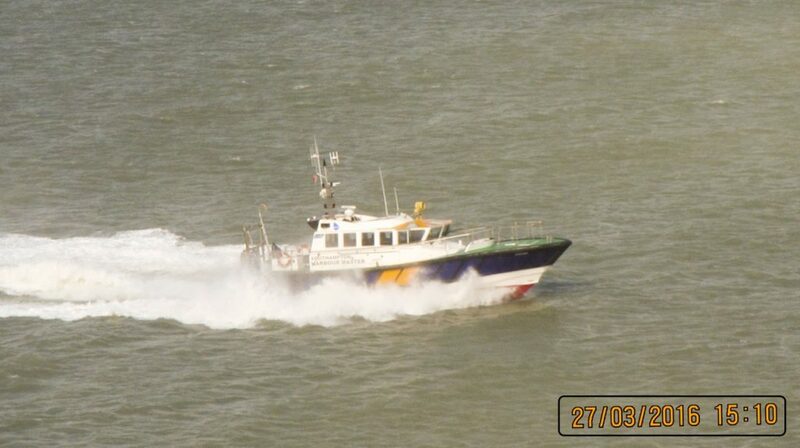 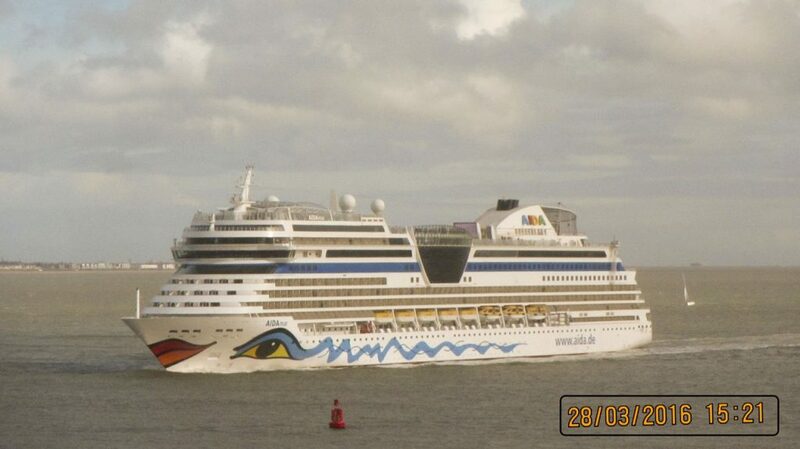 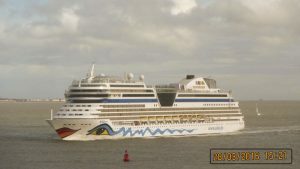 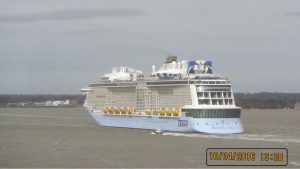 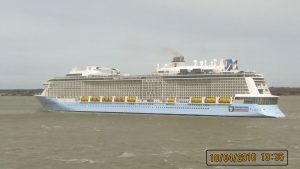 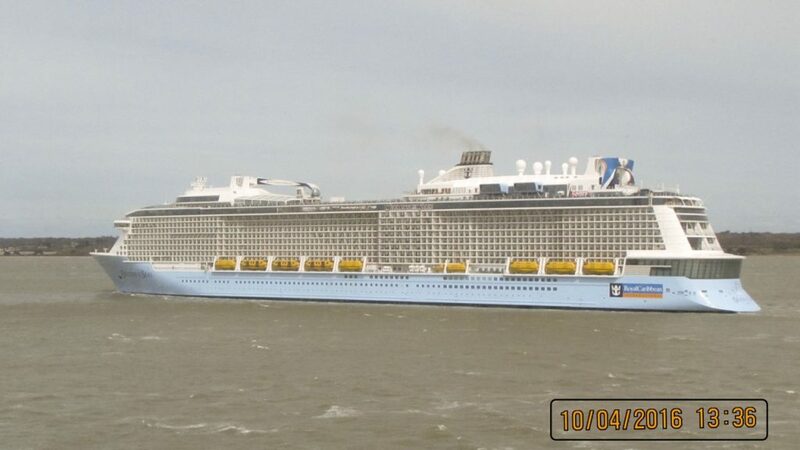 The next day cruise ship AIDAmar looking like something out of a child’s toy box! 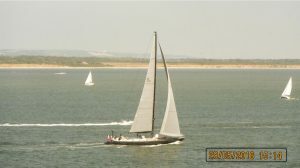 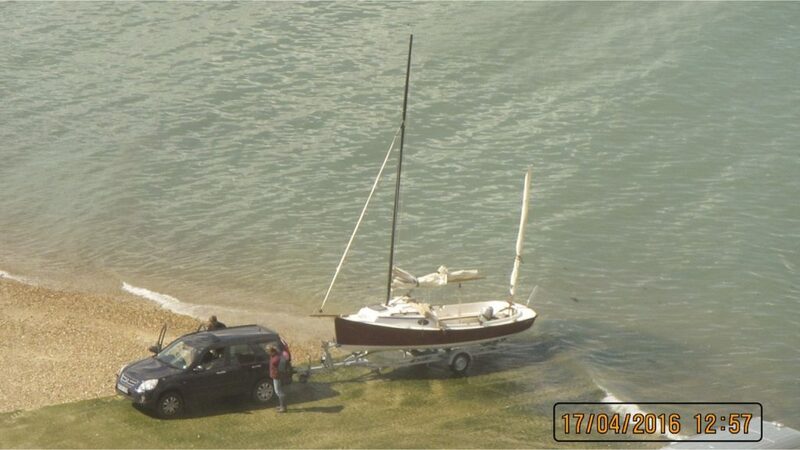 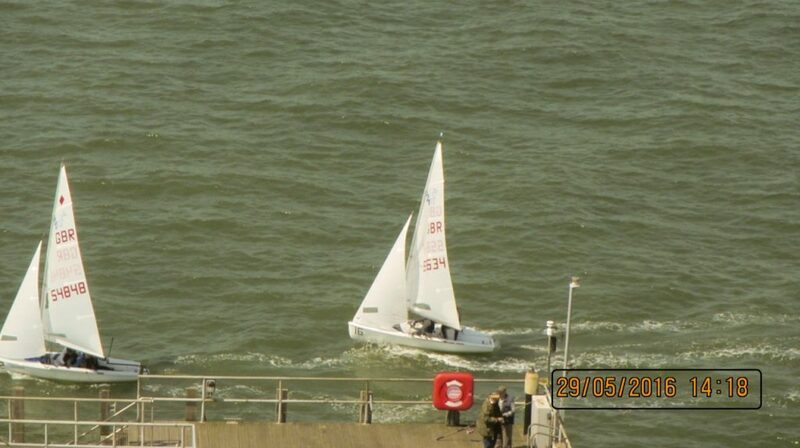 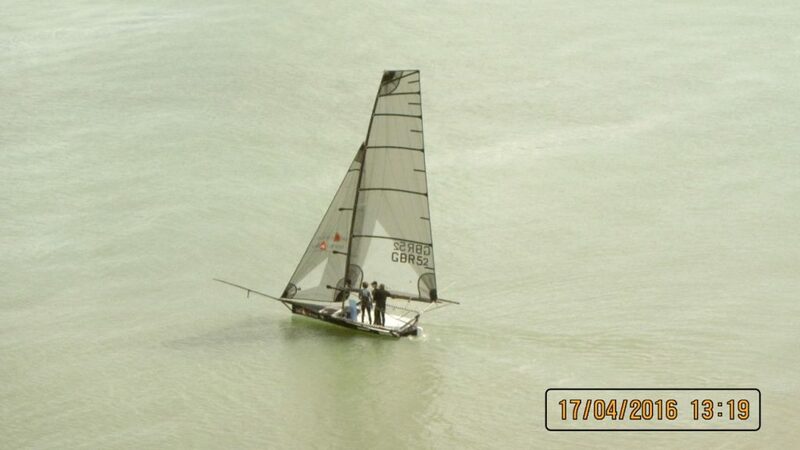 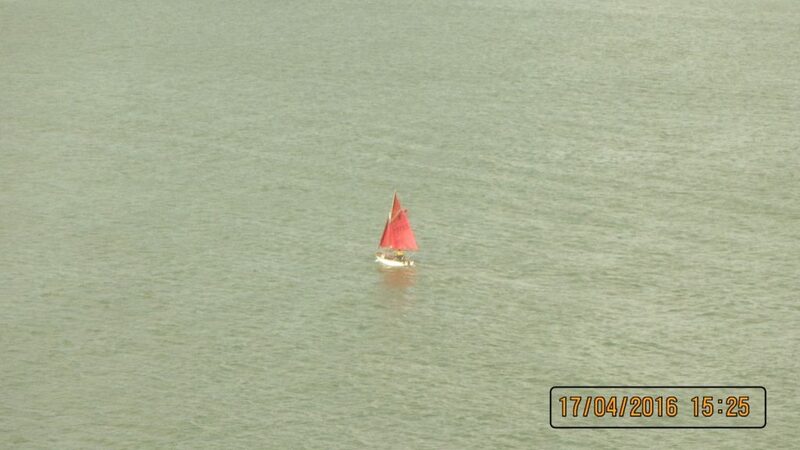 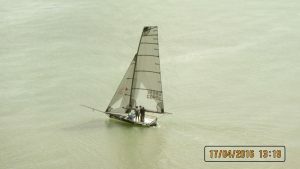 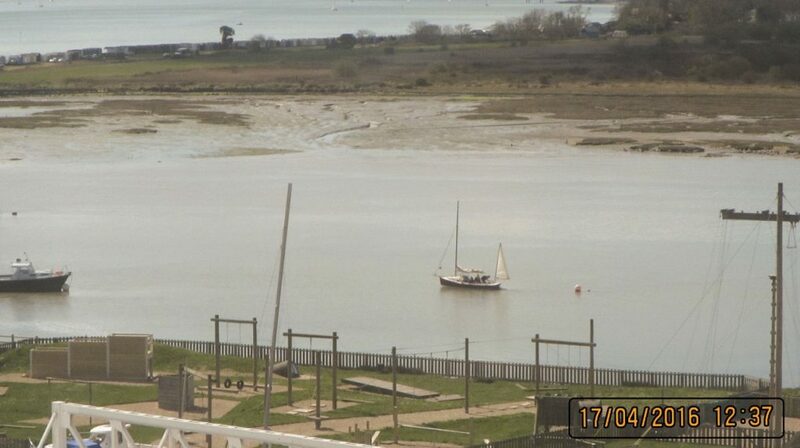 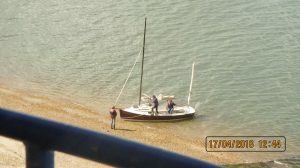 17th April: a Swallow Yachts BRe was out for her first sail of the year and belongs to James (?). 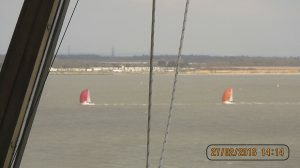 It was interesting seeing the Hawk 20 Cabin version on the slip at the same time. The BRe looked sleek whereas the Hawk looked dumpy! 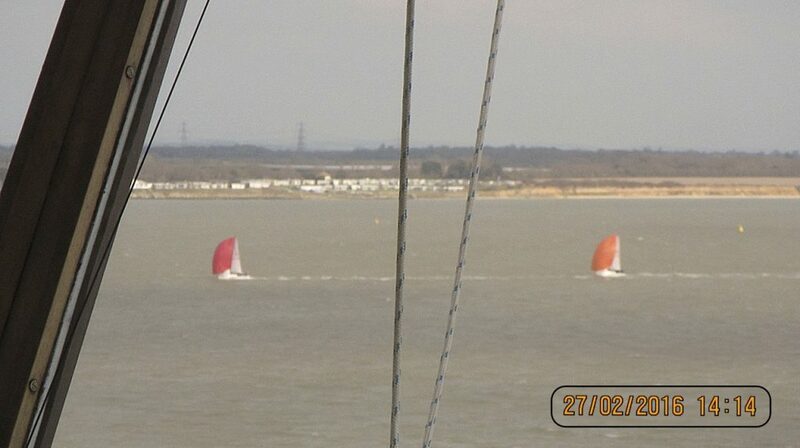 In fact the Hawk is a similar width to Seatern so I shouldn’t gloat! 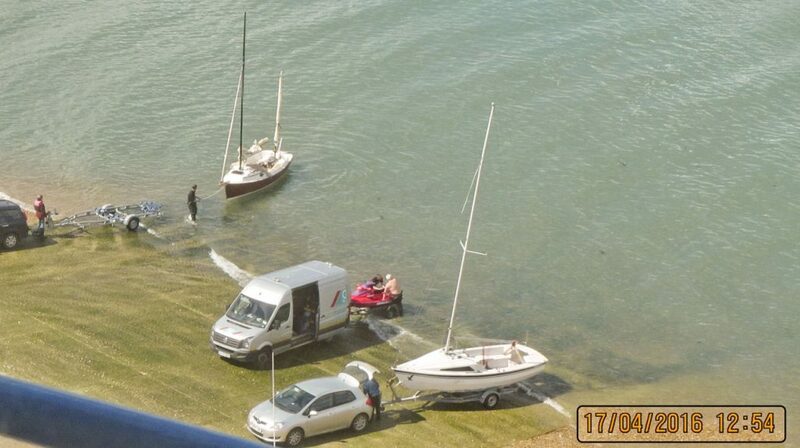 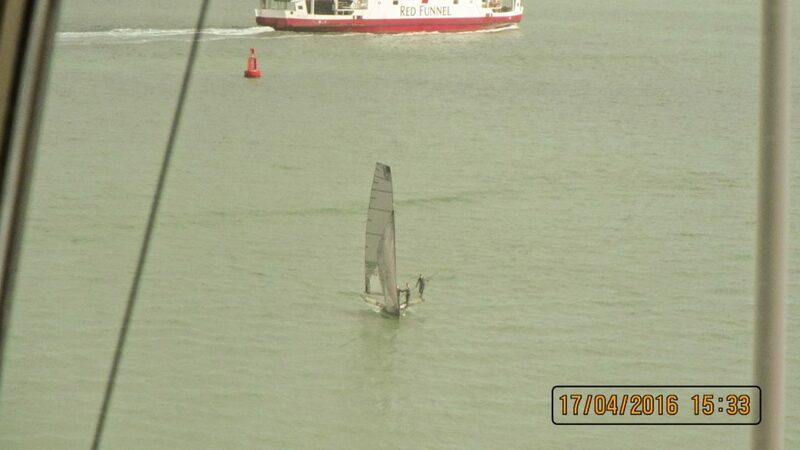 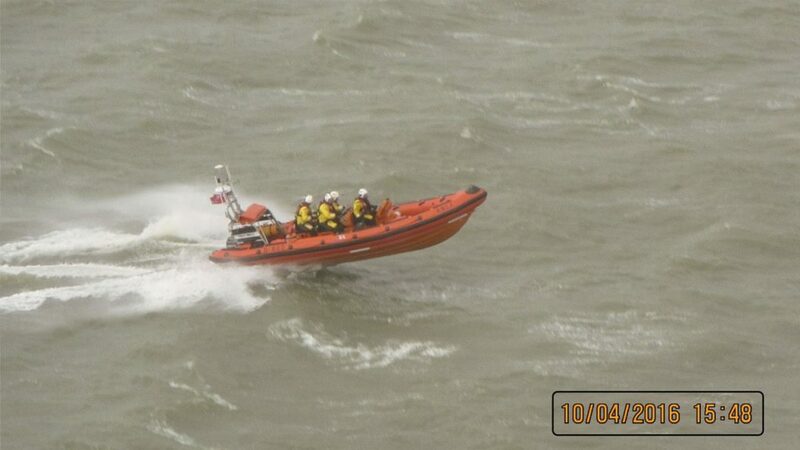 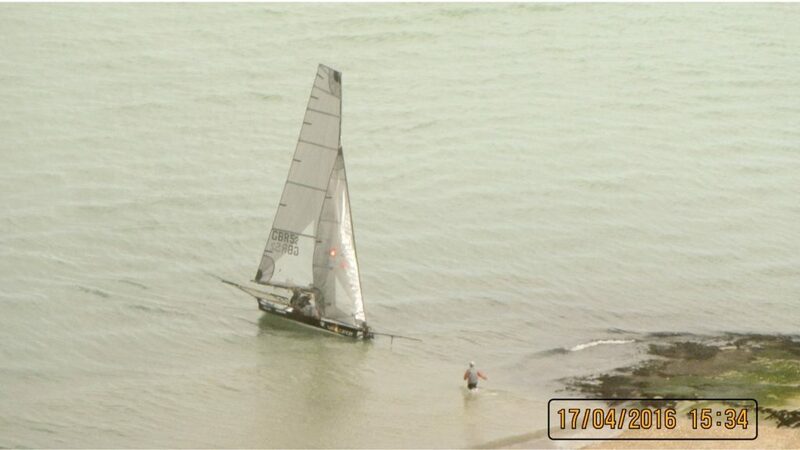 The 18 foot skiff weighs 160 kg all up, there wasn’t quite enough wind to get it really going. 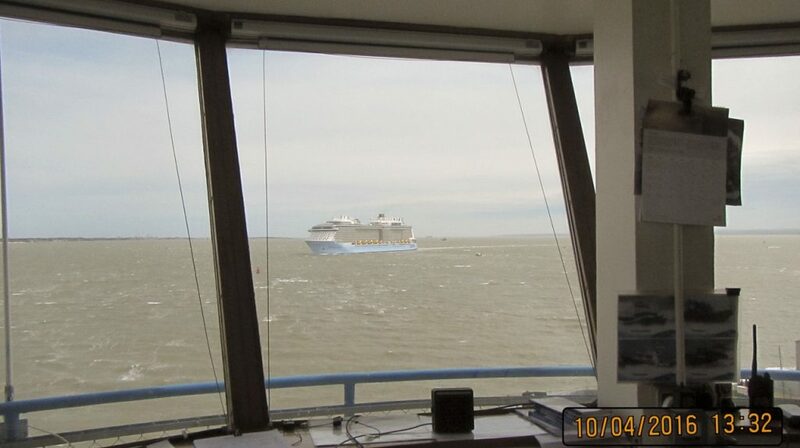 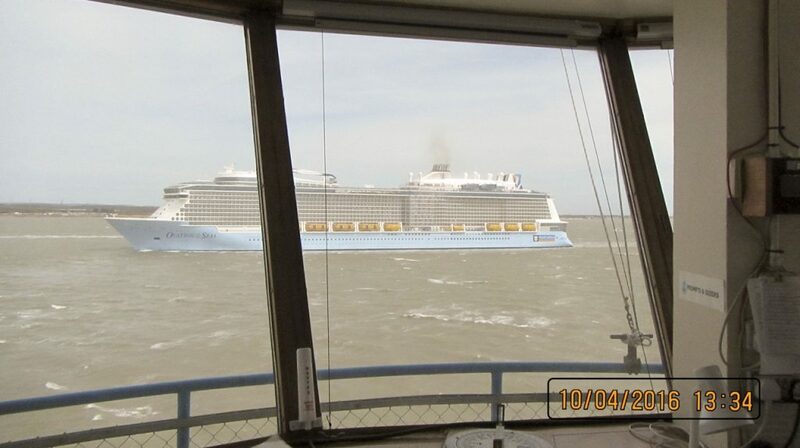 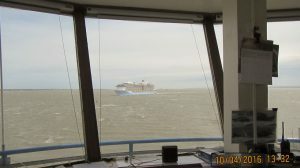 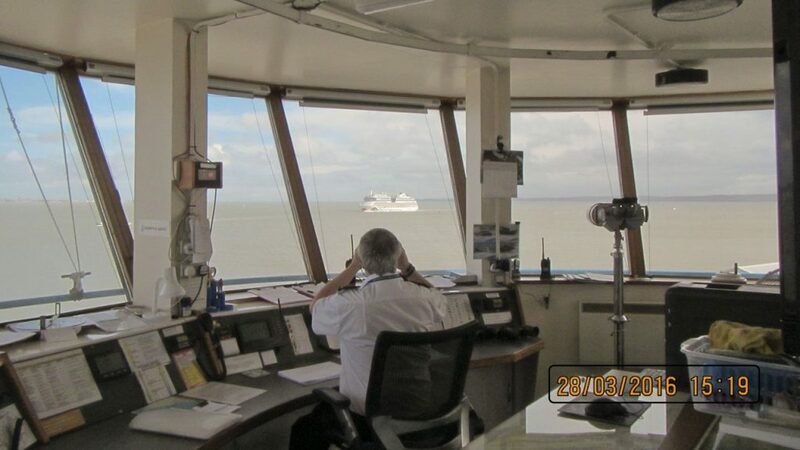 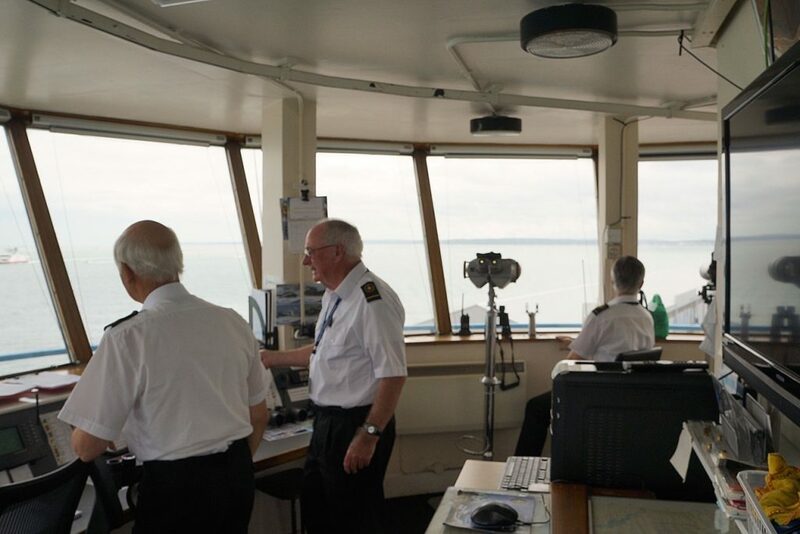 Not to forget the gaff rigged Mirror – I thought they were all gunter or (more modern) bermudan! 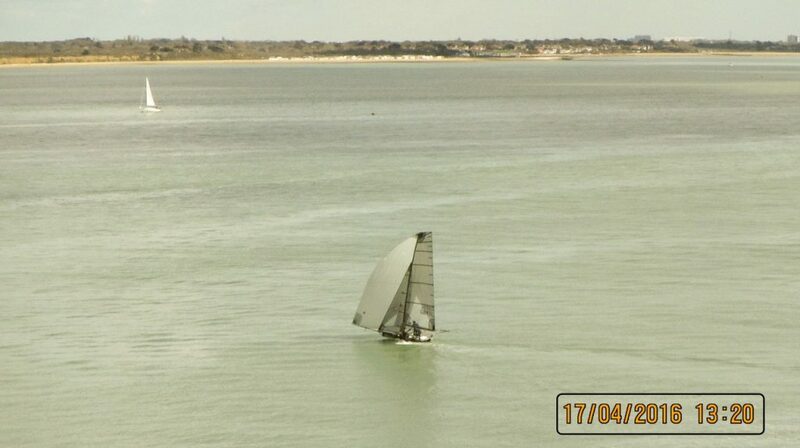 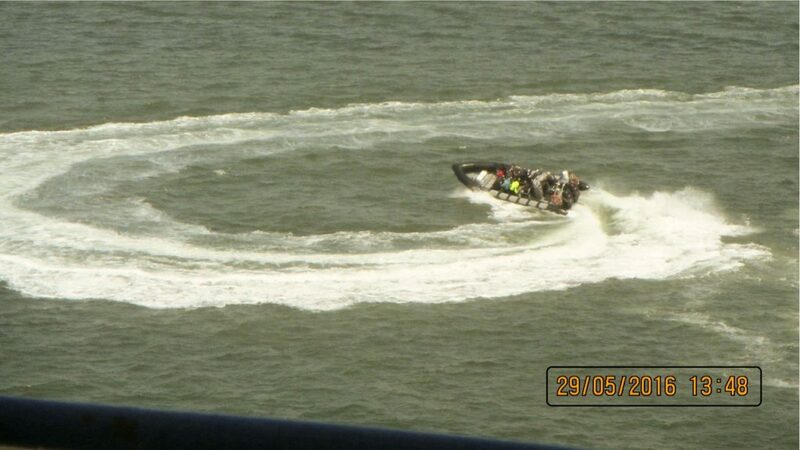 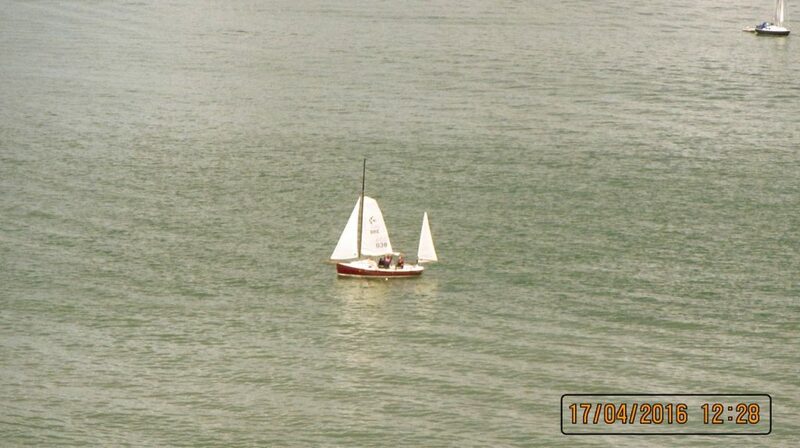 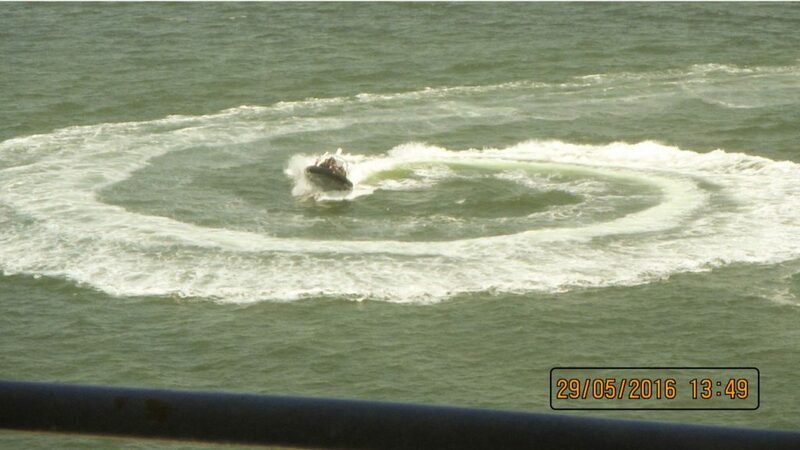 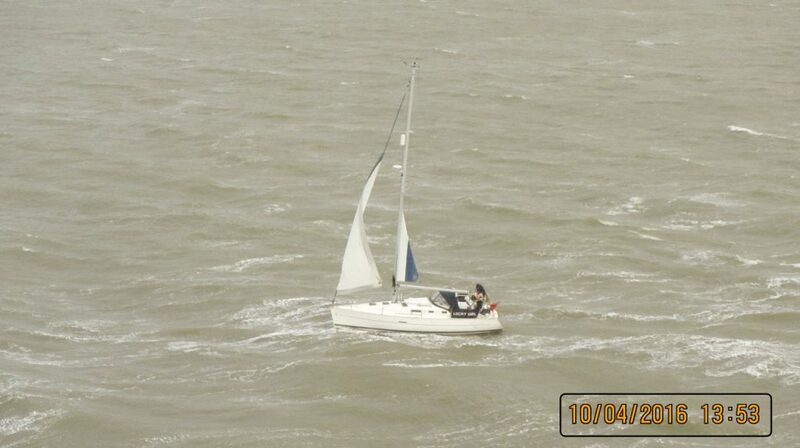 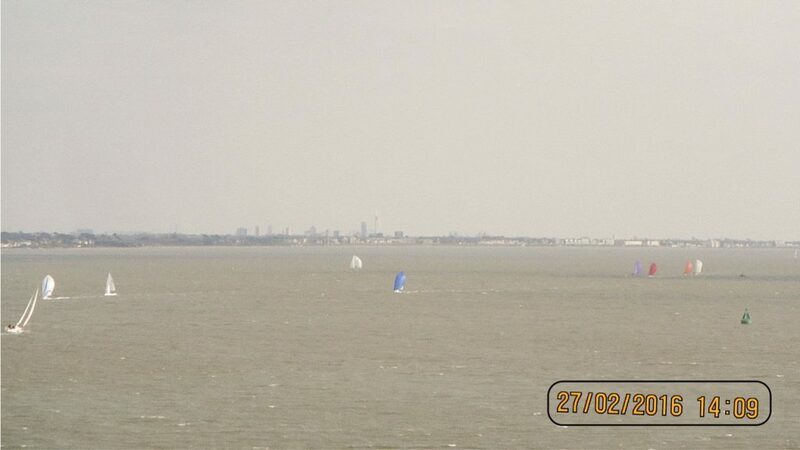 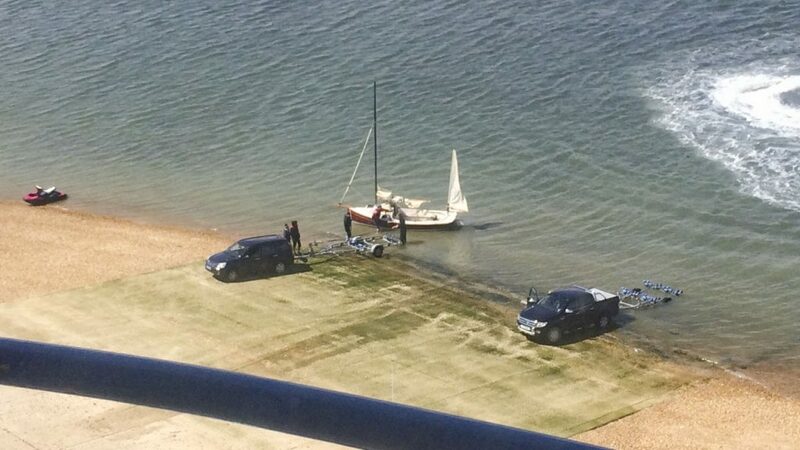 1st May: Forgot my camera so the photos are from my iPhone – which doesn’t do telephoto well (digital zoom only!). 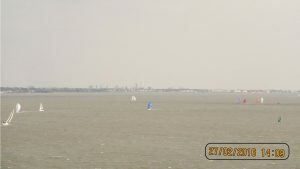 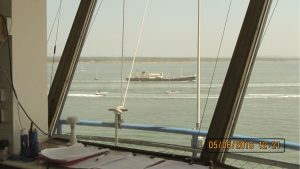 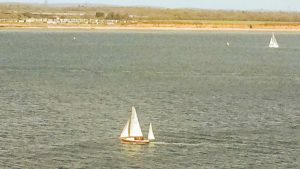 8th May: Roy watches tanker, an 18′ skiff, and a junk rigged cruiser! 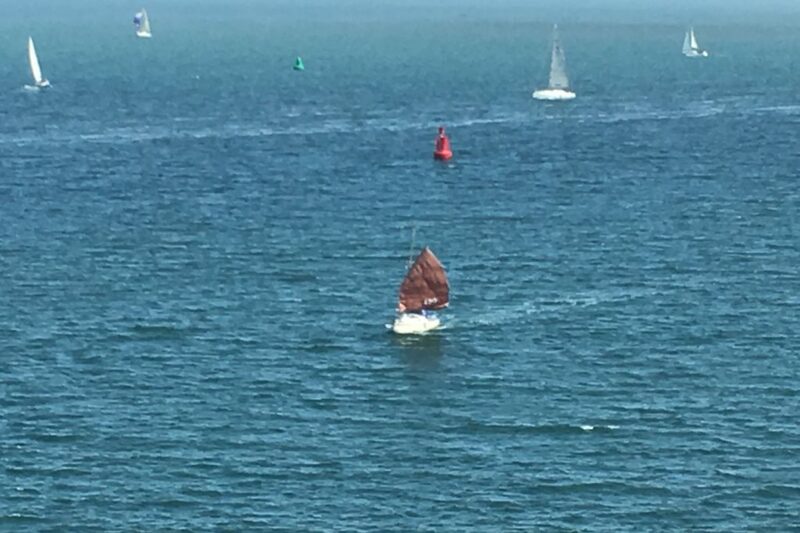 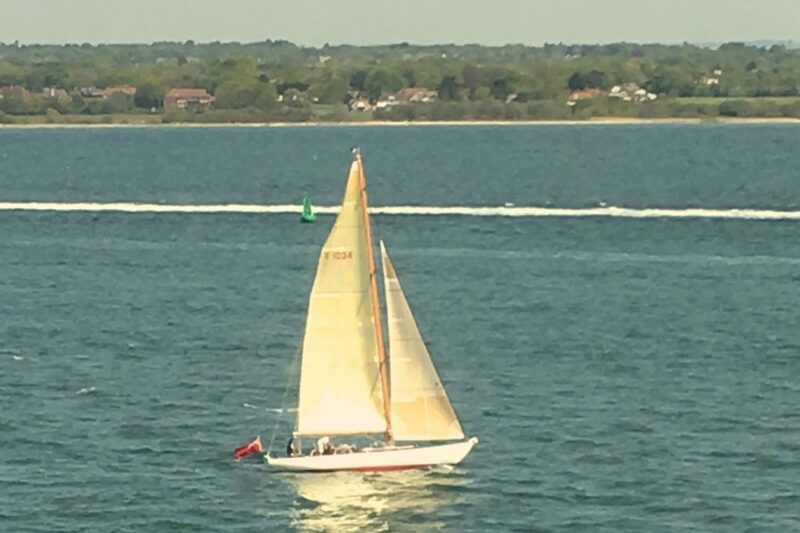 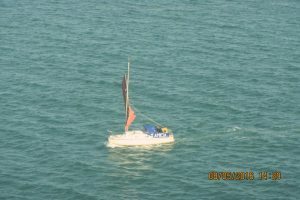 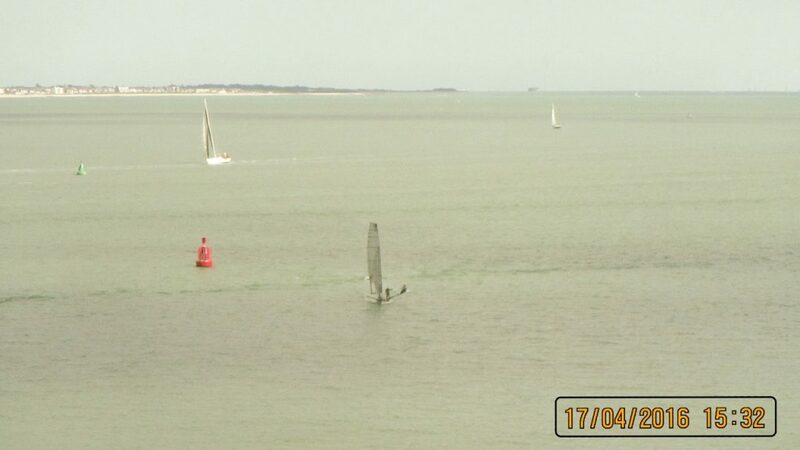 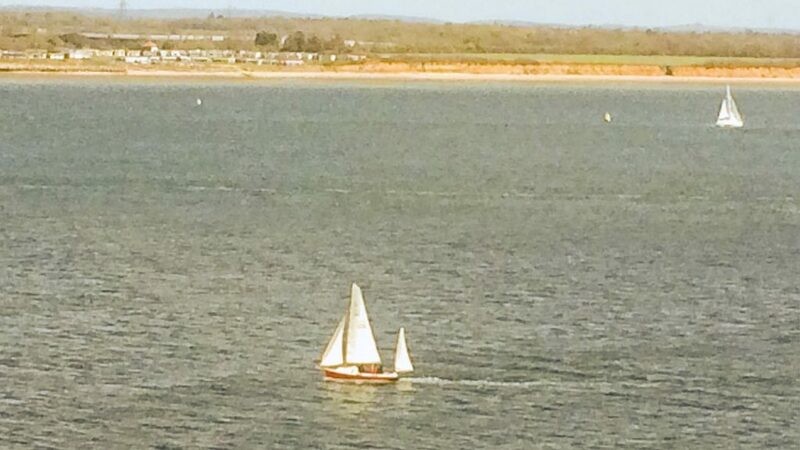 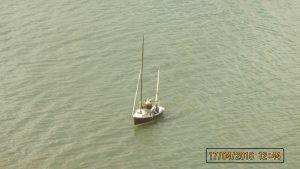 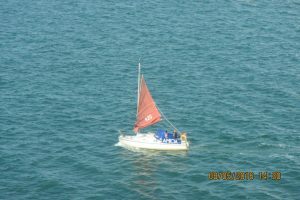 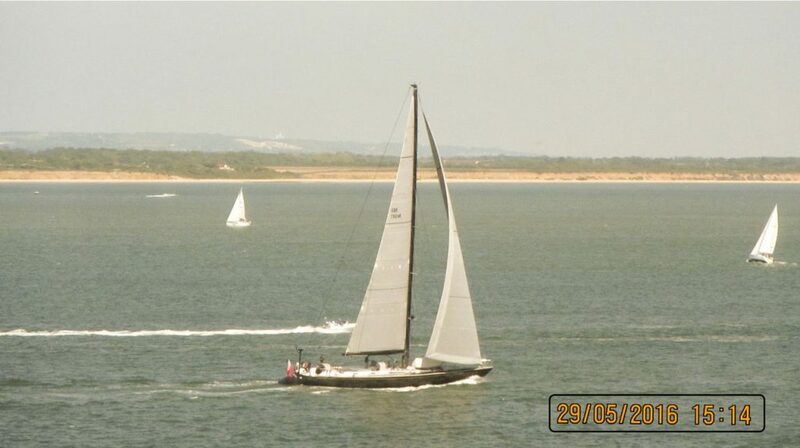 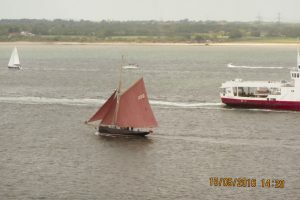 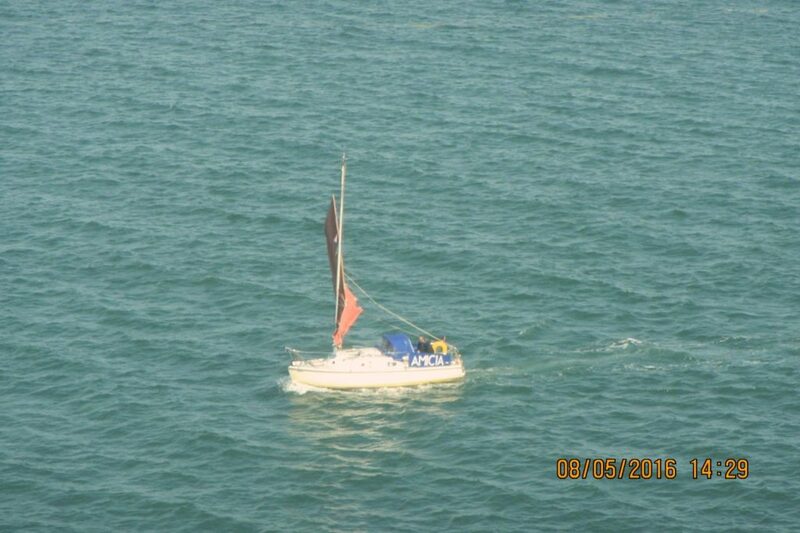 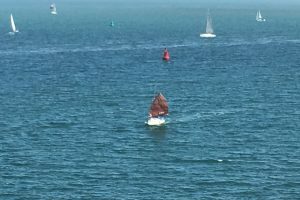 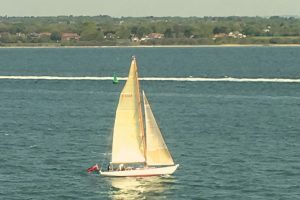 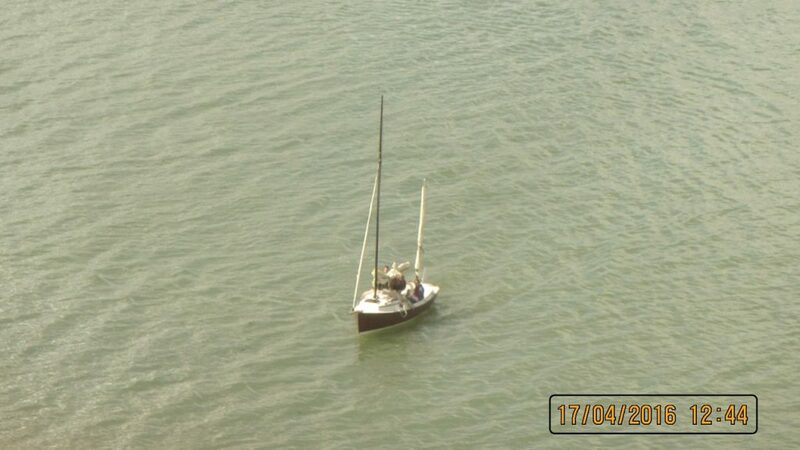 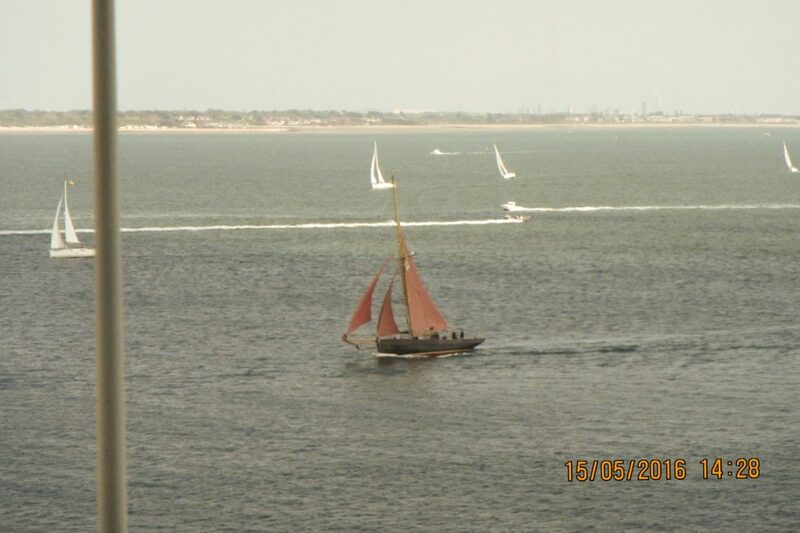 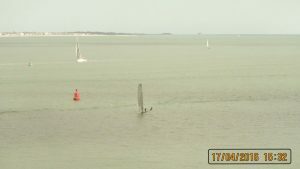 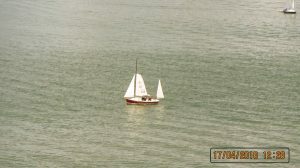 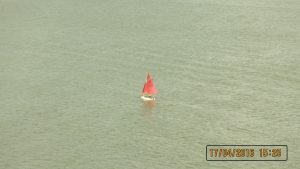 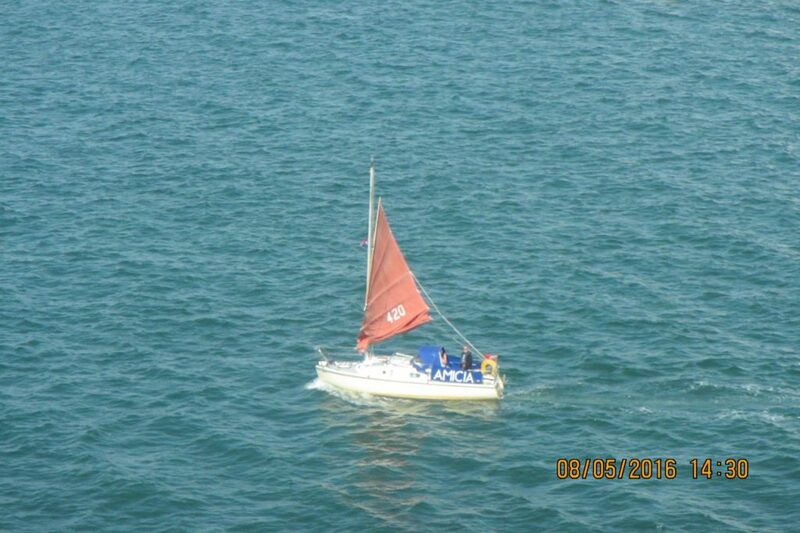 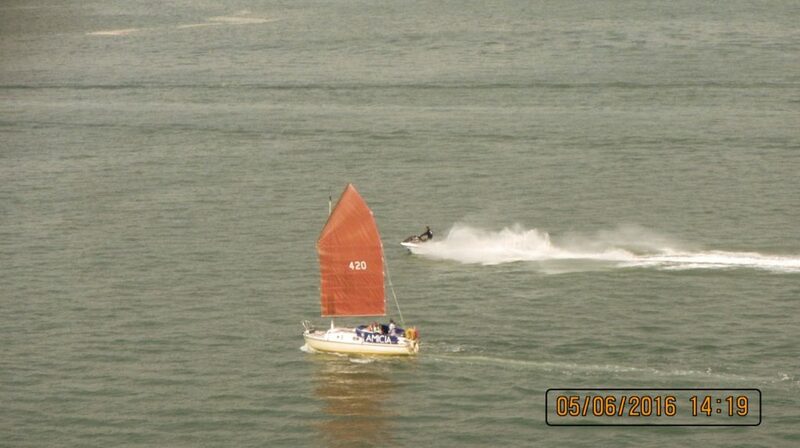 15th May: The Jolie Brise came close to the Tower, and the 18′ skiff was out again. 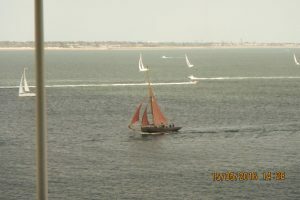 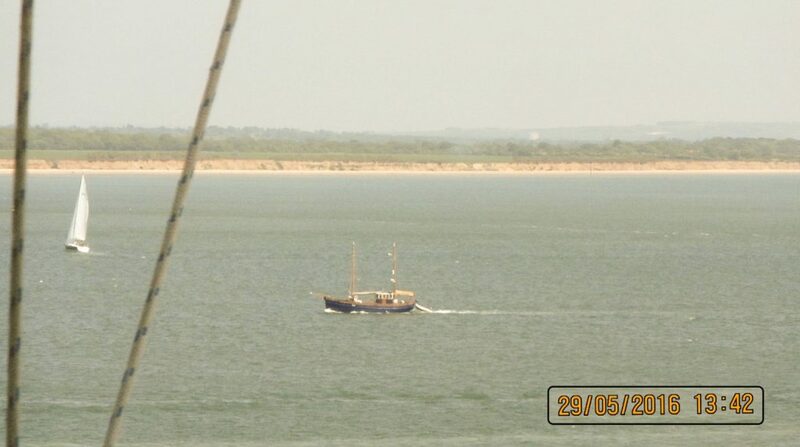 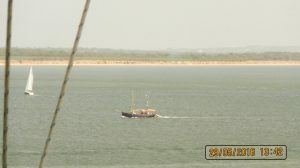 5th June: The Steam Ship Shieldhall on an excursion; the junk rigged Amicia is a Sunday regular; then the junk rigged ketch which I’ve seen before from a distance when sailing. 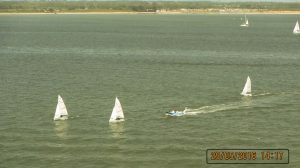 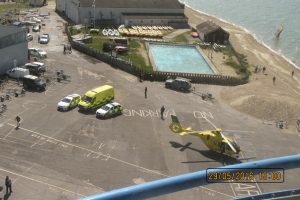 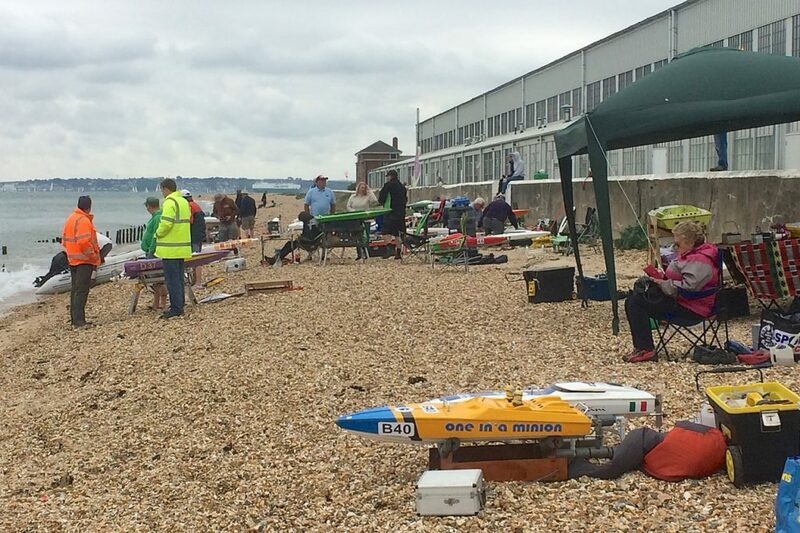 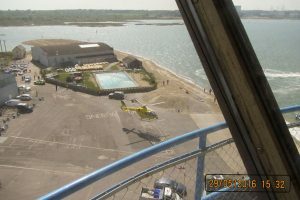 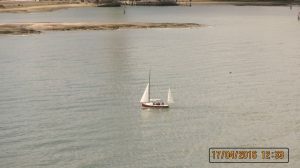 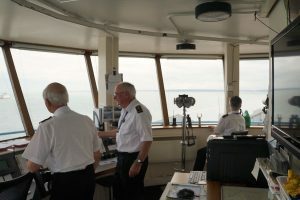 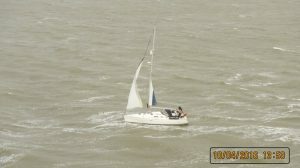 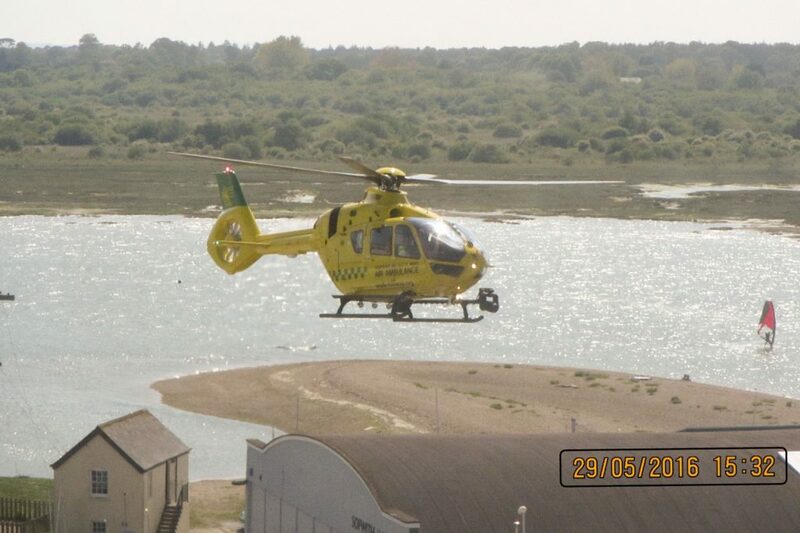 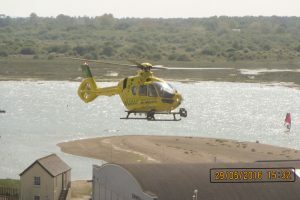 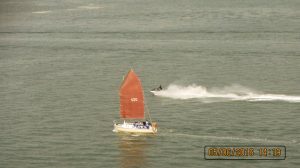 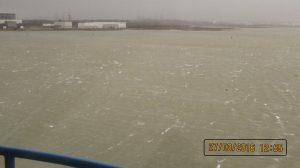 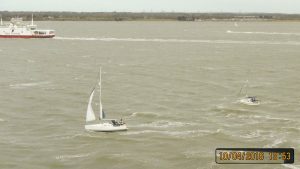 19th June: Radio controlled power boats off the Sunderland hangar, BC23 number 23, and a photo inside the tower by Mags!